The iPhone X-inspired notch based design has become quite a hit with Android phone makers. And the latest to join the pack is Honor with its new Honor 10 which launches globally today. Packing flagship-like specs and design, the Honor 10 will be sold for a mid-range price, which is a big part of its appeal. First revealed in China last month, the device will go on sale today in Europe for €399 / $473 and up. There’s no word on US pricing on availability just yet. Although given that some Honor smartphones launched stateside, there’s a chance tht the Honor 10 might land on the North American market at some point in time. But why should you consider buying the Honor 10 in the first place? 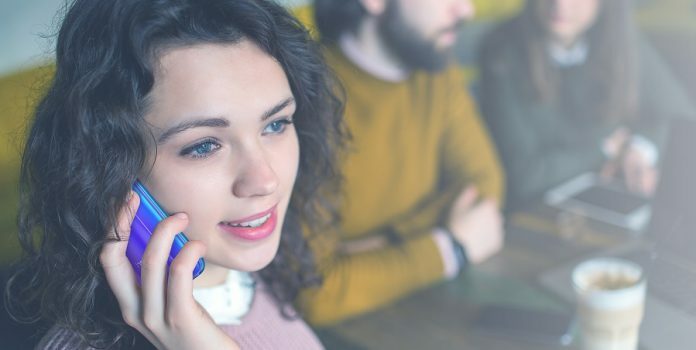 Well in what follows we are going to highlight the things we believe make the phone standout. 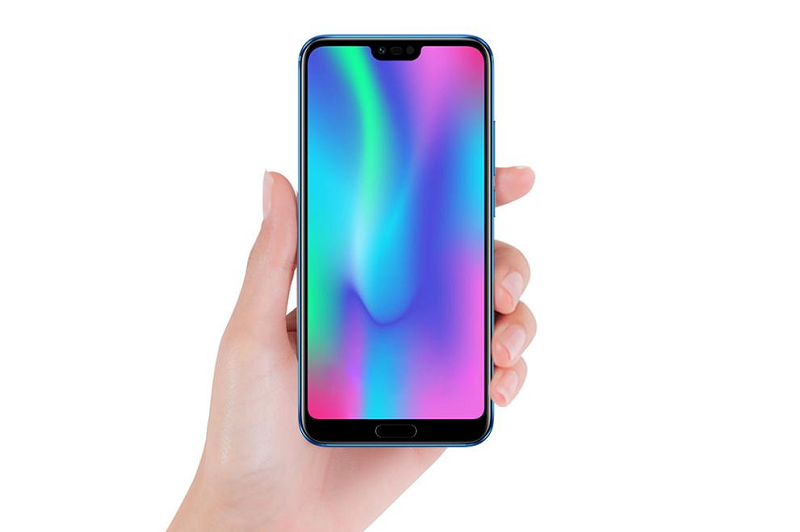 When you look at the Honor 10, you can’t help notice there’s a striking Huawei P20 resemblance. You have the colorful glass back, complete with the stunning gradient color options and of course, the notch. The display cutout smiles at onlookers from the top of a 5.84-inch LCD screen with 2280 x 1080 resolution. 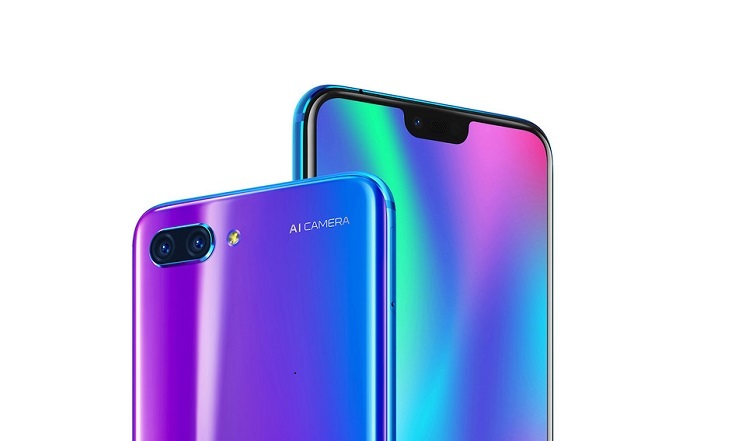 The most striking Honor 10 versions are the Phantom Blue and Phantom Green versions, as they benefit from the company’s so-called “color radiance” Aurora Glass coating technology. Made from fifteen different layers of glass with a nano-scale optical coating, the Blue version shows shades of blue and purple depending on how the light hits it. While the Green model flaunts blue and green hues reminiscent of the Aurora Borealis. 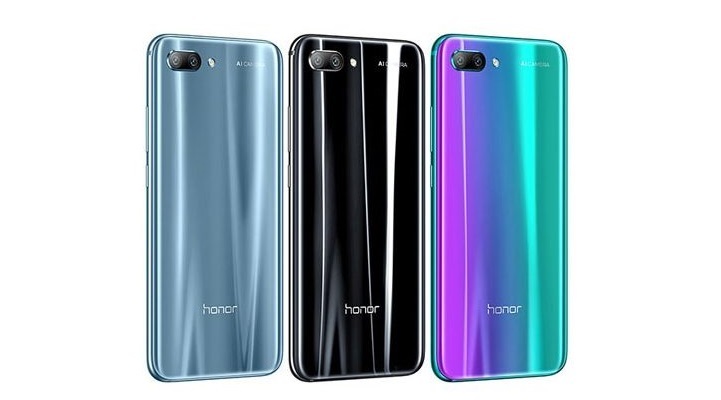 Honor will also offer two additional variants in Midnight Black and Glacier Gray, which aren’t as distinctive looking. 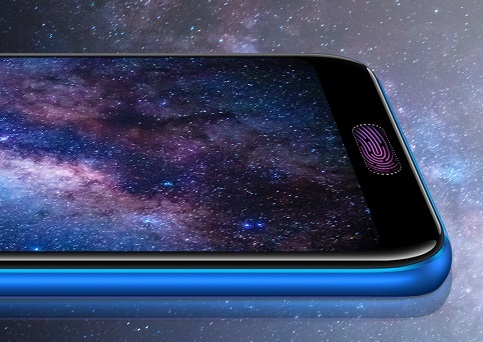 The phone is the first from Honor to include an under-the-glass fingerprint reader. According to the company, the sensor is hidden under the display in order to keep the design clean. The main advantage here is that the Qualcomm-made biometric authentication system should work perfectly even when wet or greasy. The Honor 10 relies on the flagship Kirin 970 chip and also includes a neural processing unit (NPU). 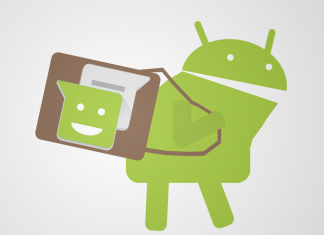 This means the device packs some AI-related features with the camera being the main beneficiary. According to Honor, the phone uses a NPU-powered semantic image segmentation technique to deliver better image quality. What this system does is identify all the subjects and objects by their outlines in a single shot. So the Honor 10 will be able to take multiple subjects into account when taking a photo and apply local optimizations on the image. Just like the P20, the phone is also smart enough to be able to recognize different scenes and use the best settings to shot it. It has a library of 22 scenes including blue sky, texture of grass and more. On the front sits a 24-megapixel selfie camera with portrait mode, complete with a studio lighting system which that replicates what we’ve seen on the P20 Pro. Thanks to the AI tech on board, Honor also promises the secondary camera will offer better face detection in the image gallery, as well as an advanced self-timer. Albeit sporting a wallet-friendly configuration, the Honor 10 offers includes lots of RAM and storage. The base model will ship out with 4GB of RAM and 64GB of internal storage, the same as the Galaxy S9. Honor will also offer an option with 6GB of RAM and 128GB of storage. There’s no microSD card slot available. Unlike the Huawei P20 with which it resembles so much, the Honor 10 retains the 3.5 mm headphone jack. So rejoice, you’ll be able to use your old, favorite headphones with this stunner. How could we forget the price? The phone will go on sale today for €399.99 / $473 for the 64GB option and €449.99 / $532 for the 128GB version. Yet it remains to be seen whether the Honor 10 will be able to eclipse the competition, including the OnePlus 6, which is expected to launch tomorrow. Although it certainly appears to have the potential to do so.